NEW MEXICO CALL TAG Size 1.25 X 3 Custom Engraved with Name and Call Sign. Comes with pin back. Note when ordering more than one tag shipping will be adjusted by Jeanne. NEW YORK CALL TAG Size 2 X 3 Custom Engraved with Name and Call Sign. Comes with pin back. Note when ordering more than one tag shipping will be adjusted by Jeanne. NEW YORK CALL TAG Size 1.25 X 3 Custom Engraved with Name and Call Sign. Comes with pin back. Note when ordering more than one tag shipping will be adjusted by Jeanne. NH PHOTO CALL TAG Size 2 X 3 Custom Engraved with Name and Call Sign. Comes with pin back. Note when ordering more than one tag shipping will be adjusted by Jeanne. NH PHOTO CALL TAG Size 1.25 X 3 Custom Engraved with Name and Call Sign. Comes with pin back. Note when ordering more than one tag shipping will be adjusted by Jeanne. 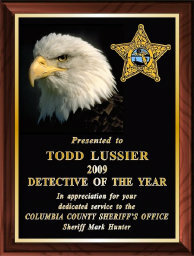 NORTH CAROLINA CALL TAG Size 2 X 3 Custom Engraved with Name and Call Sign. Comes with pin back. Note when ordering more than one tag shipping will be adjusted by Jeanne. NORTH DAKOTA CALL TAG Size 2 X 3 Custom Engraved with Name and Call Sign. Comes with pin back. Note when ordering more than one tag shipping will be adjusted by Jeanne. NORTH DAKOTA CALL TAG Size 1.25 X 3 Custom Engraved with Name and Call Sign. Comes with pin back. Note when ordering more than one tag shipping will be adjusted by Jeanne. 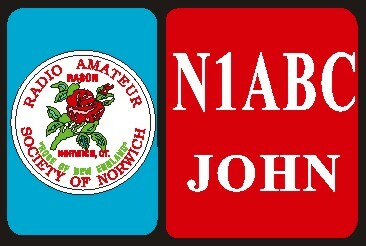 NORWICH ARC CALL TAG Size 2 X 3 Custom Engraved with Name and Call Sign. Comes with pin back. Note when ordering more than one tag shipping will be adjusted by Jeanne. $2.00 Discount when ordering 6 or more club tags. OHIO CALL TAG Size 2 X 3 Custom Engraved with Name and Call Sign. Comes with pin back. Note when ordering more than one tag shipping will be adjusted by Jeanne. OHIO CALL TAG Size 1.25 X 3 Custom Engraved with Name and Call Sign. Comes with pin back. Note when ordering more than one tag shipping will be adjusted by Jeanne. OKLAHOMA CALL TAG Size 2 X 3 Custom Engraved with Name and Call Sign. Comes with pin back. Note when ordering more than one tag shipping will be adjusted by Jeanne. OKLAHOMA CALL TAG Size 1.25 X 3 Custom Engraved with Name and Call Sign. Comes with pin back. Note when ordering more than one tag shipping will be adjusted by Jeanne. OREGON CALL TAG Size 2 X 3 Custom Engraved with Name and Call Sign. Comes with pin back. Note when ordering more than one tag shipping will be adjusted by Jeanne. OREGON CALL TAG Size 1.25 X 3 Custom Engraved with Name and Call Sign. Comes with pin back. Note when ordering more than one tag shipping will be adjusted by Jeanne. PENN DEL ARC CALL TAG Size 2 X 3 Custom Engraved with Name and Call Sign. Comes with pin back. Note when ordering more than one tag shipping will be adjusted by Jeanne. PENNSYLVANIA CALL TAG Size 2 X 3 Custom Engraved with Name and Call Sign. Comes with pin back. Note when ordering more than one tag shipping will be adjusted by Jeanne. PENNSYLVANIA CALL TAG Size 1.25 X 3 Custom Engraved with Name and Call Sign. Comes with pin back. Note when ordering more than one tag shipping will be adjusted by Jeanne. 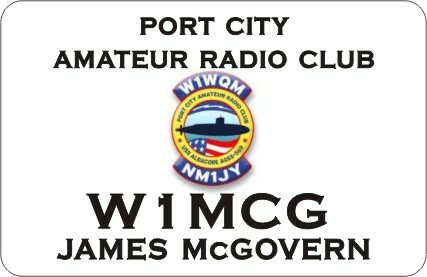 PORT CITY ARC CALL TAG Size 2 X 3 Custom Engraved with Name and Call Sign. Comes with pin back. Note when ordering more than one tag shipping will be adjusted by Jeanne.